The foundational for chaos control problem is scientific as well as technological. 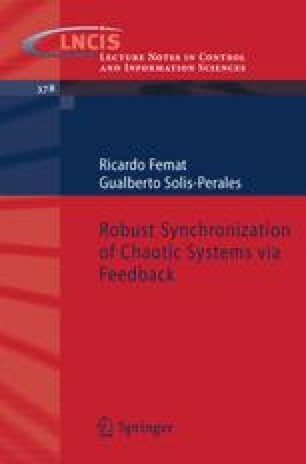 In regard science, on the one hand, chaos control has two important contributions: (i) The controlled chaotic systems has allowed to understand that structured disorder and its entropy/information relationship extend the concept of determinism ,  and (ii) departing from chaotification (inverse action of the chaos suppression) some questions have been opened on phenomena of the feedback dynamical systems . Moreover, the chaos control impacts biomedical, life and engineering sciences; for example, it can be extended to control pathological rhythm in heart . Now, regarding technological applications, the controlled chaotic systemsare important because of a desired frequency response can be induced. Nowadays, the scientific community has identified two problems in chaos control: suppression and synchronization. Among others, we can mention studies in physical devices (e.g., telescopes or lasers), biology/ecology (e.g., population dynamics or biodynamics) or biomedical systems (e.g., heart rhythm or brain activity). Thus, for instance, controlled current-modulation can be entered as excitation from a nonlinear circuit into semiconductors lasers by feeding back the laser frequency response (see Figure 1 in ). Henceforth, scientific community has taken possession of the challenge of exploring control techniques such that (i) a family of driving force can command classes of chaotic systems , (ii) the synthesis of mathematical expressions for the control force accounts the frequency response , and (iii) energy requirements by the control force are accounted (for example to avoid saturation or deterioration in control devices) . In addition, the mathematical models of the driving force is desired to be simple and easy to implement experimentally. A simple form is the linear models of driving forces; which can be expressed in the frequency (Laplace) or time domain and they have been already used to suppress chaotic behavior , .